Making your way from International Falls to Tower, Minn., this time of year can be tough enough in an all-wheel-drive car. 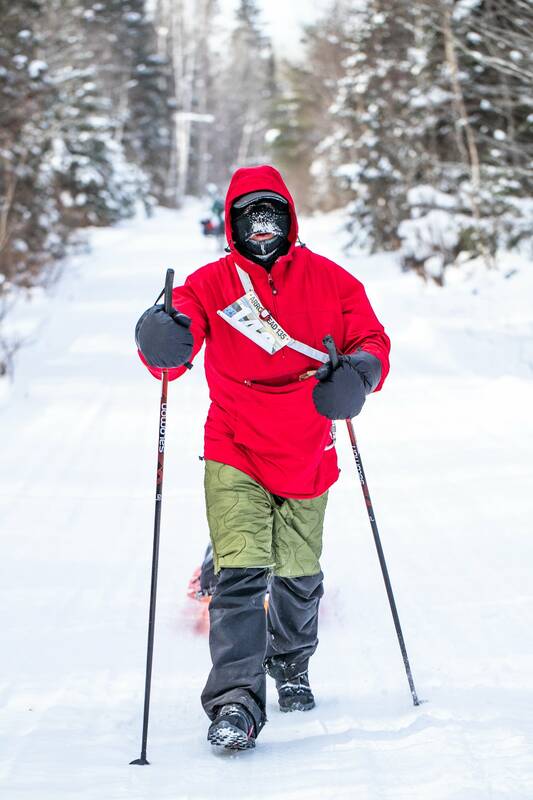 But many do the same trip running, skiing and cycling — all while pulling a sled of supplies — during the Arrowhead 135 race. The planners of this ultramarathon want the race to be as challenging as possible, so they schedule it for what's likely the coldest week of the year. This year, they hit the jackpot. Hasting's native John Storkamp has run this ultramarathon 14 times — including this year. "Those of us who have done the event several times over the years are describing this as 'a good old-fashioned Arrowhead race,'" he said. "It was cold from start to finish." Even so, it's not the coldest Storkamp has ever faced. The key is making sure you're prepared with the right clothing and food to "fuel the machine" that is your body, he said. Making sure you're making smart decisions and taking care of yourself is standard practice for all participants. "And those people that were finding that it was too difficult for them to continue safely made really great decisions for themselves and lived to fight another day," he said. The cold was a bit of a switch up from recent races. Storkamp said the weather has been mild from beginning to end for the past five years. And the weather during races before that has run the gambit on mild and cold, sometimes changing up mid-race. "You certainly don't conquer the elements, that's not possible," he said. "But getting out there and working as safely as you can within the elements is a really fun and interesting challenge." So how do you warm up after a race like this? "I think I had six bowls of tomato soup," Storkamp said.